Here's a depressing fact: you're not an average American unless you're under increasing pressure from creditors. That's because most Americans are drowning in some form of debt, be it student loans, credit card payments, or mortgages. 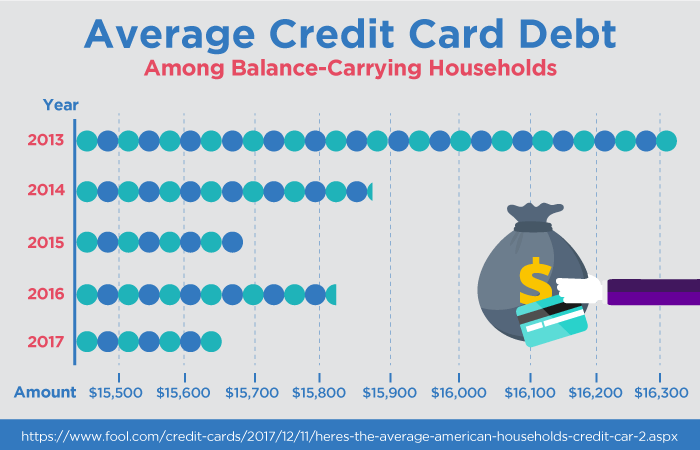 On average, households are carrying credit card debt with a balance of $15,654. Trying to pay off these debts has become near impossible, as paying interest and certain fees mean most payments don't even go towards lowering your balance. In fact, most debtors are paying nearly $1,000 in interest alone each year. But there's a life raft that can help you keep your head above water: debt management programs. These programs will help you pay off your debt while becoming a bit more financially secured for the future. As mentioned, the average American is carrying credit card debt in the realm of about $15,000. And paying this debt can often feel like being stuck in quicksand: You pay your balance each month, but the balance stays the same due to interest and fees. In other words, you're working hard, but getting nowhere. In this instance, a debt management program could be the best option. Here's what you need to know about debt management programs. Following a plan makes you more organized and on-time with bills and payments. You'll create a realistic monthly budget that will help keep you on the right track. Paying on time will help to improve your credit score. You will stop hearing from debt collectors. A simpler way to pay your debts. Debt management programs are a more systematic way to pay your debts off. You'll work with a debt counseling agency, who will in turn work with your creditors to set up payment plans on your behalf. After this, you'll set up monthly payments to your debt counseling agency, who in turn will disperse it to your creditors. Monthly payments will be customized to what you can actually afford to pay. The agency you deal with will analyze your household income and expenditures to determine your payment. It's less of a headache because instead of paying multiple monthly payments on all of your debts, you'll be making just one consolidated payment. It's cost-effective. Interest and late fees sometimes make it impossible to lower your outstanding debt. Debt management programs alleviate this burden. Your debt counseling agency will work with your creditors to lower interest rates and waive late and other fees. On average, debt management programs will lower your interest rates around 8–10%. Thus, you'll be paying off more of your outstanding balance. Not all debt qualifies. Not all debt is created equal, and therefore some types of debt cannot be included in debt management programs. Debt management programs are reserved for what's known as unsecured debt, or debt that isn't backed by any collateral. This mostly includes credit card debt and medical bills. Debts that cannot be part of a debt management program include student loan debt, mortgages, car loans, and tax debt. It will impact your credit score. As long as you and the agency paying your debts each month are on time, the initial impact on your credit score will be minimal, at least according to Experian, one of the three major credit bureaus in the U.S. If you seek any type of loan while you're in a debt management program, lenders who look at your full credit report will be able to see you're repaying your debts at a reduced rate and it may affect their final decision. Generally speaking, the impact on your credit score goes something like this: a slight dip in your score early on due to your credit card accounts being closed, then a gradual climb as on-time payments are received and reported by creditors. Once all your debts are eliminated, your credit score will be much higher than any time previous. Know when to set up a debt management program. It may be difficult to know whether or not you need to enroll in a debt management program. Here's a basic rule of thumb. You should set up a debt management program if you're falling behind on any payments, paying credit card bills without affecting the outstanding balance, or charging more on those cards to stay afloat each month. In some ways, a debt management program may be one of the easiest forms of debt relief available. That's because, for the most part, setting up a debt management plan is pretty straightforward. Learn the process. After you choose a debt counseling agency, you'll have what's known as a debt counseling session, which will typically take an hour or so. 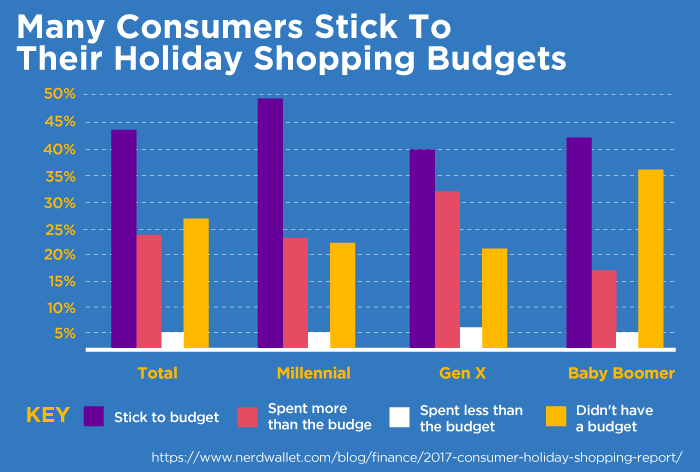 During this time, you'll both review all of your finances, including income, rent, utilities, credit card bills, medical bills and any other financial obligations. Prior to calling the debt counseling agency, list out all your expenses, being as precise as possible by referring to recent pay stubs and bank statements, along with a list all bills paid and unpaid. To get the full picture, the counselor will usually pull your credit report. But don't worry, as this is what's known as a "soft pull," which won't affect your credit score in any way. After a review of your finances, if you both agree that a debt management plan is the way to go, your counselor will work out a budget and send it to your creditors for approval, as you and your creditor have to agree to the terms. Stay on top of everything. Each month, you'll get a monthly statement from both your creditor and your credit counseling agency. Make sure these two statements line up and that all payments are credited properly. Also, note that one debt could be paid off sooner than others. This won't affect your monthly payment to the counseling agency; instead, they'll split the extra amount to pay the rest of your debts off faster. Get ready for a long haul. You should know that a debt management plan is not a quick-fix solution. On average, debtors usually pay off all debts in about three to five years using a debt management plan. It's important to note, though, that all credit cards being paid off under the program will be frozen for this duration. While this will save you from running up any extra debt, it can be a severe inconvenience if you need to book a hotel room or rental car. Exit the program if you need. Debt management plans are not a legally binding agreement, meaning you can quit them at any time you choose. To cancel, simply notify your debt counseling agency, who will, in turn, notify all creditors that the payment plan is no longer. Your monthly payments—and, more importantly, interest rates—will return to what they were prior to your debt management plan. That's why it's important to have another plan for tackling your debt lined up prior to canceling your plan. Also, since some agencies will require some small enrollment fees, you'll usually be given 30 days after you set up a debt management plan to cancel it and receive a full refund. Know that there's flexibility. Debt management programs often offer some flexibility for debtors. If due to some unforeseen problem, you can't make a monthly payment, your debt counselor can be of great help. Some creditors will allow you to simply resume payments the next month without penalty. Others, though, will drop you from the program after the first missed payment. If that's the case, your counselor might advise you to pay just that portion of your total directly to that company, for instance. Calculate how much you may save. 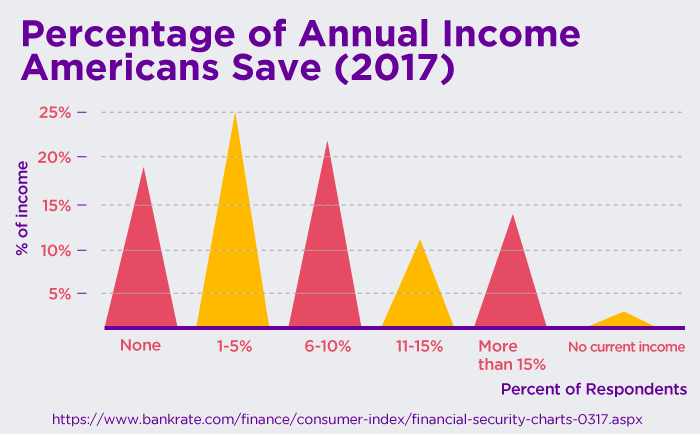 While it's hard to get a specific number of what you'll be paying each month (it depends on factors like current balance, current interest rates, household income, etc. ), you can get an idea of how much you'll save. There are free tools out there to help you understand what you'll save with debt management plans. Debt management plans do typically reduce your total payments 30-50% due to reduced interest rates. For instance, one debt counseling agency reported that clients reduced their monthly interest payments by an average of $209.81, and their total monthly payments went down an average of $172.48 each month, according to Cambridge Credit Counseling Transparency Report. A debt management plan is offered through debt counseling companies, which work with your creditors to come up with a monthly payment solution that works for your situation. Aside from that, though, these debt counseling agencies will offer tools and information to help you become more financially secure in the future. There are some things to know when deciding on a counseling agency. Look at the memberships. Most legitimate debt counseling agencies will be part of larger organizations, such as the National Foundation for Credit Counseling (NFCC) and the Association of Independent Consumer Credit Counseling Agencies. The NFCC has a searchable database on its website to find legitimate debt counselors. Choose "explore my options" from the drop-down menu, click database, and enter your zip code. A list of NFCC-affiliated debt counselors will pop up for you to begin contacting. Seek out non-profits. While it's not totally foolproof, it's a safe move opting to go with non-profit debt management companies. Not only do they charge lower fees (ranging from free to $75), non-profits operate under strict state and organizational guidelines to insure they act in their client's best interests and are frequently audited by states. The NFCC has accredited more than 80 non-profit agencies, so if it's a part of NFCC, you can rest assured it's legit. Be wary of special offers. Though there are a few legitimate for-profit debt counseling agencies, most are a bit shady in practice. For-profit companies will often incentivize workers to upsell customers. If the company offers you any type of special deals or products, offers you quicker debt relief than the expected three to five years, or is overly stringent in their agreements, you should walk away from that company. Check with the Better Business Bureau. It's important that you check with the Better Business Bureau and the state Attorney General's office to make sure there haven't been any consumer complaints and the organization is licensed. What services are offered by your firm? You should seek out agencies that offer services such as education about debt, budgeting, and alternatives for handling debt. If its only focus is on creating a debt management plan, it's best to look elsewhere. How are the employees at the counseling firm paid? Do they receive bonuses or additional pay for signing me up for additional services? If you find out employees work on any type of bonus system, you should go elsewhere. If their prime interest is selling you on services, they're not focused enough on ridding you of your debt. A legit agency will work out a budget with you. So if you can only afford, say, $300 a month, that's what they should charge you. No extra fees every month or anything like that. Are there any creditors your agency does not work with? If so, which? This one is simple: If the agency doesn't work with your creditors, they're of no help to you. When I put money in an account for you to pay my creditors, how much of that goes to them and when? Not only will you learn how debts will be paid off, but you'll also discover something important: If they keep any type of your payment. Some less reputable agencies will keep your first payment, or more, as compensation for their work. Never agree to pay for services prior to actually receiving them. Here are some of the top recommended debt management programs to consider. When considering debt relief, it's important to know that there are multiple options you can choose to handle your debt. Aside from debt management programs, you can also opt for debt consolidation, debt settlement, or balance transfers to manage your debt. Debt management programs are not perfect. They may be straightforward and may seem ideal, but they don't always work out. 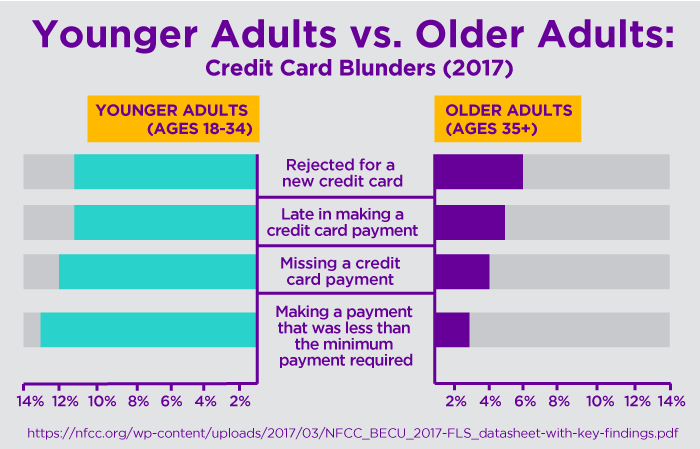 In fact, more than 50% of people who enrolled in debt management programs dropped out of the plan, either due to bankruptcy or other factors, according to Cambridge Credit Counseling. Debt management and debt consolidation are not the same. While often confused for one another, debt management programs and debt consolidation are two different things. Debt consolidation requires you to take out a single loan to pay off several different unsecured debts. Like debt management plans, you'll pay one monthly fee instead of multiple ones (you'll usually pay off debt in three to five years). Unlike a debt management plan, though, this will carry a usually high-interest rate. For those with better credit scores, their rates would be around 15-16%. 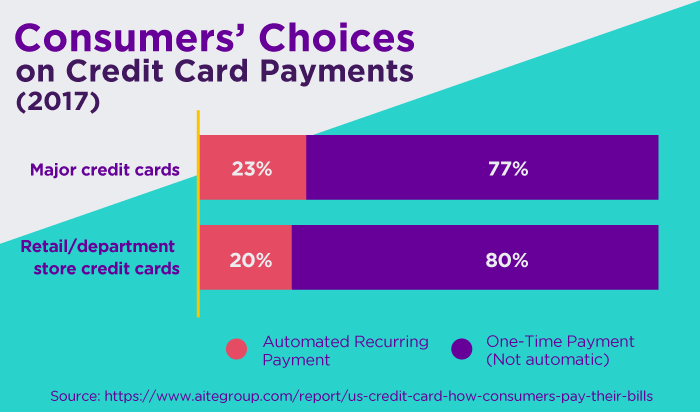 Another way to consolidate debt is through the use of another credit card. That's because if you have a very good credit score (700 or above), you can apply for a 0% interest balance transfer credit card. The 0% interest is an introductory rate that usually lasts for 6-18 months. You can transfer large outstanding debts from other creditors and work to pay them all off at once. All payments made during that time will go towards reducing your balance. Debt settlement is not an ideal choice. Debt settlement on the surface seems ideal: A debt settlement company will negotiate a lump-sum payment with each one of your creditors for less than what you actually owe. In this option, you'll stop payments to creditors and instead will pay a debt settlement company a monthly payment that will sit in a specific account. Once that account reaches a certain amount, the settlement company will then make an offer to the creditor to settle the debt. It's not ideal because the creditors are not bound to accept the offer. Also, late fees and interest payments also accumulate during this time, making the amount owed much larger, not to mention that debt settlements have a huge negative impact on your credit score. Debt—and credit card debt especially—is wreaking financial havoc on the average American. Attempts to pay down debts by simply sending the minimum payment each month is leading to higher and higher outstanding balances. But you can take control of your financial future by opting to set up a debt management plan. In a few years, you can pay off your mountain of debt and set yourself up for financial freedom in the future. Have you found relief using a debt management program? Or did it not work out as you expected? We'd love to know. Please leave us a comment below.